MQL programming is an important program needed to be able for your own expert advisors would function fully well. There could be a number of robots existed but whenever we encounter them, they need to have done on MT4. But what is MT4? How would we be able to know how to use them? At last, a book that will help do the MQL programming has been available written by Andrew Young. It’s called “Expert Advisor Programming”. 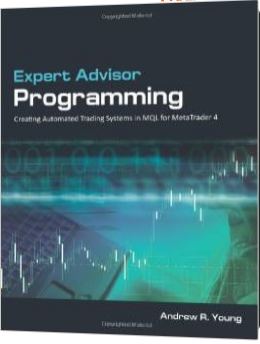 It’s a comprehensive book that will guide you through the process of developing robust automated FX Trading Systems for the platforms used by most traders which is the MetaTrader 4. The book reflects the writer’s several years of experience in coding hundred of EAs for the market worldwide. He will teach you how to do the programming of the most common trading programs such as place markets, the stop and limit orders, calculate stop loss and take profit prices, calculating the lot size which is based on risk, to add trailing stops for your orders, count and modify orders at once and so much more. There is more. He will also teach you how you can create your own custom indicators and scripts . The book is highly recommended to all traders whether you are new or a professional trader. But you should know programming before you can use this book at its fullest as this is not a book on basic programming but a book for Expert Advisor programming. It will help you know the automated trading ideas in the shortest time possible. It also reveals a number of code examples which he will explain it’s every detail. His examples are functional and can be used on your own expert advisors later on.